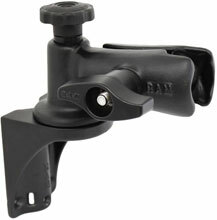 RAM Mount products ship at standard rates and do not qualify for free shipping. RAM Mount RAM Ratchet/Heavy Duty Mounts - RAM VERT. SWING ARM SYSTEM with O BALL BASE RAM MOUNT PRODUCTS HAVE A 10-12 WEEK LEAD TIME. The RAM Mount RAM-D-162V-MC3 is also known as RAM-RAMD162VMC3	or RAMD162VMC3	.